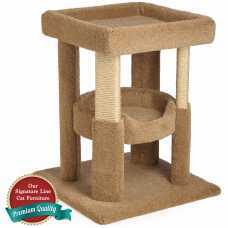 The Cat Coliseum with Shelf has four solid wood posts are securely fastened to our wide wobble-free 24" x 24" base. 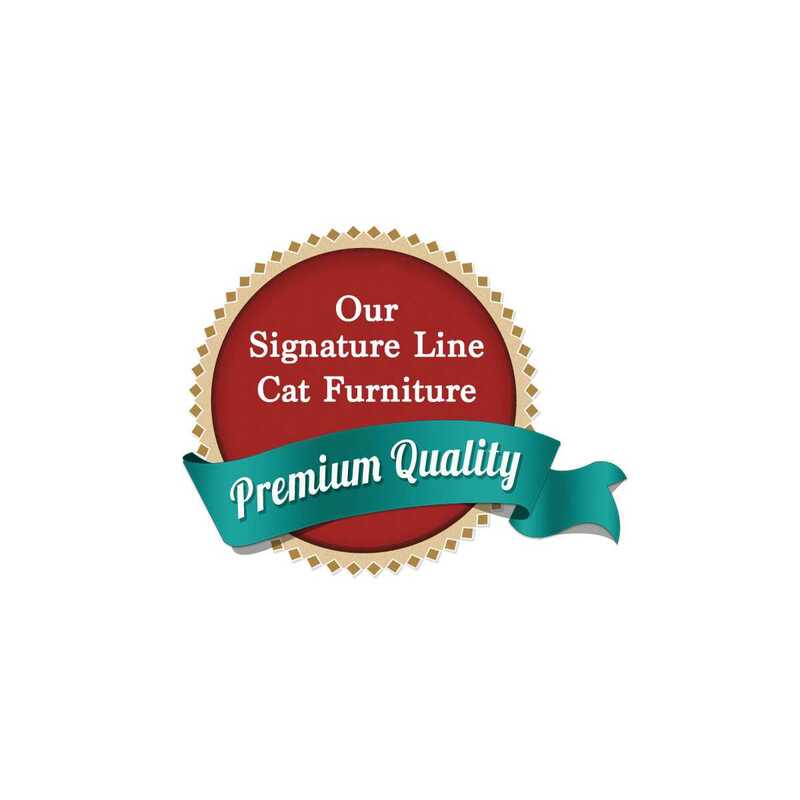 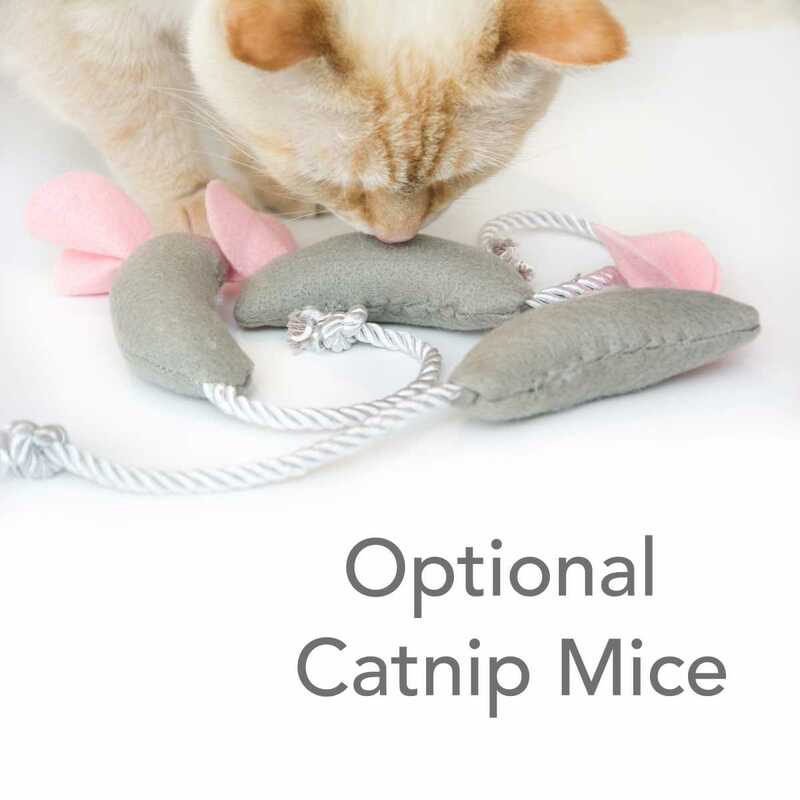 For a design that will hold up to the largest and most active cat you know. 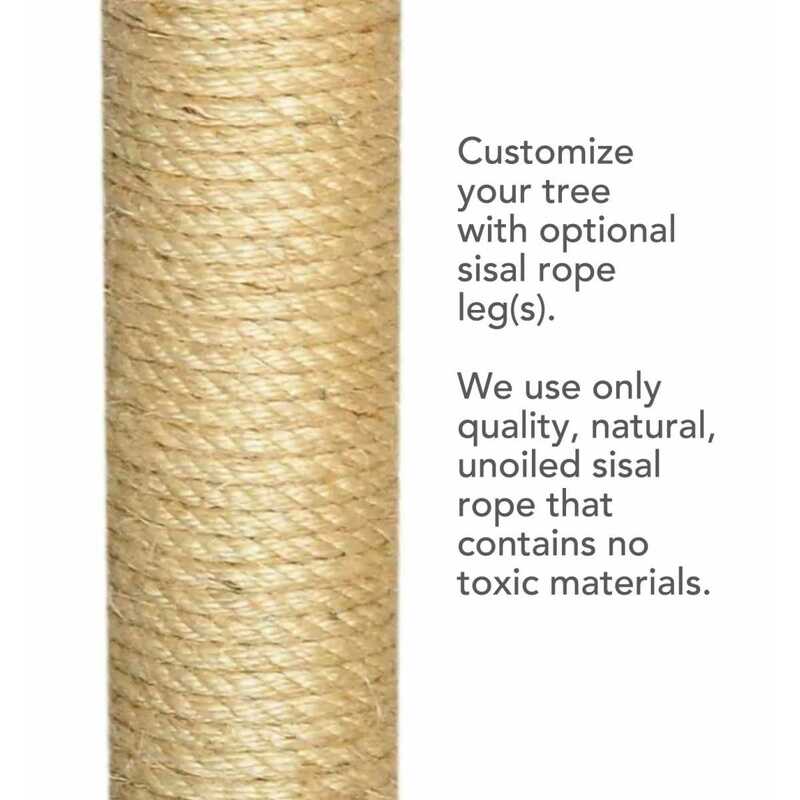 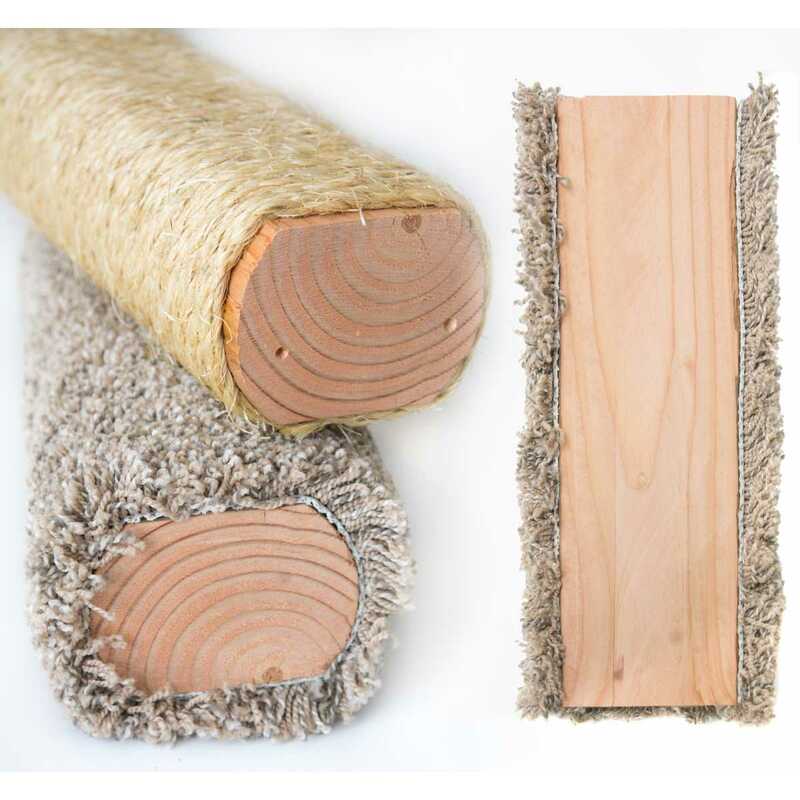 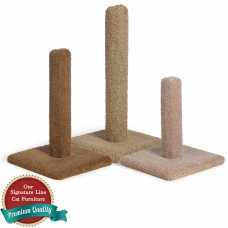 Plus, you can now give your cat a great choice of scratching surfaces with four poles to customize to your cat's needs. 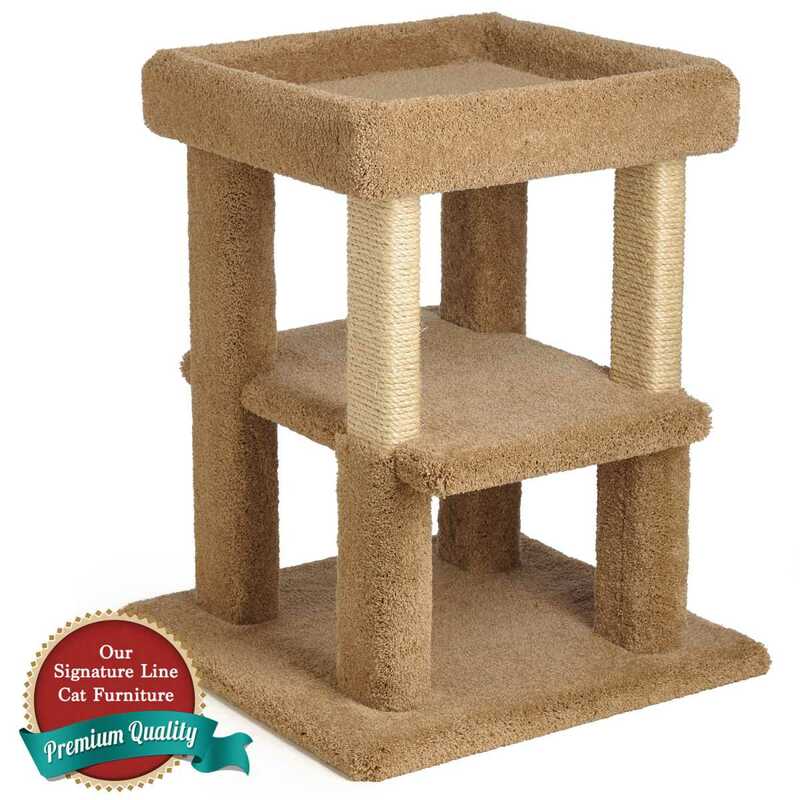 With its large 24" x 15" shelf and sleep-tray 20" x 20" x 3" this is a purr-fect choice for the multiple cat household. At 30" tall, it is perfect for watching nature from their favorite window!